There is turmoil swirling all around me. It is difficult to feel peace amidst so many competing emotions. Just when I think I may have caught it by the coattails. . . It's a difficult time for me. I know a lot is riding on my decisions. Each of my children is struggling in a very personal way with their own issues and I cannot help them. I mean, I'm trying to. I'm praying so hard to know how, but agency is real. As a mother I can love tightly, and release faithfully. I'm am trying to perfect, "Let go, and let God." My life is the long-term plan, for sure. Today was especially trying. I'm holding back tears of worry and fear over one of my children in particular. I had the thought today as I drove to the grocery store, "I think I may be going crazy." And it wasn't even all that alarming. Crazy gives you permission to do a lot of things, you know. Crazy could be a load off. But this week is Thanksgiving. There is no Complaintsgiving. Worriesgiving. Fearsgiving. 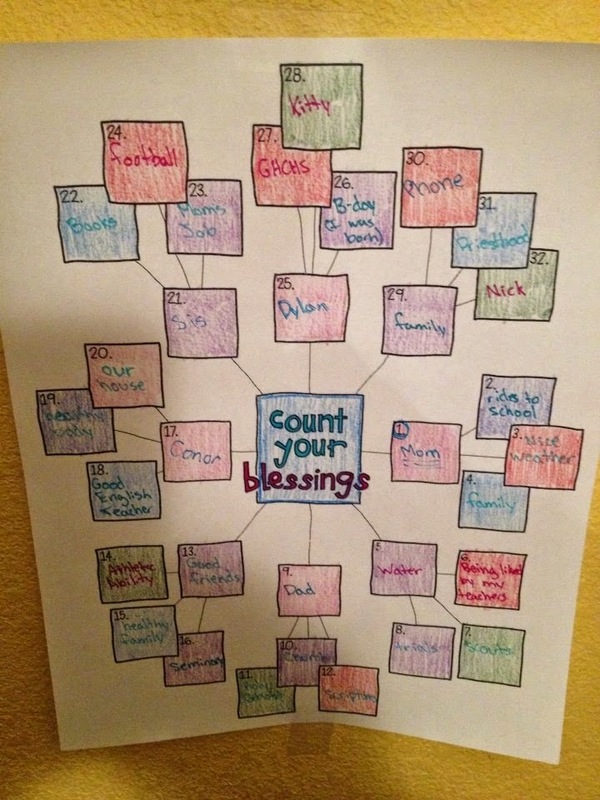 I happened to see this link today with free downloads of "Gratitude Pie Charts". 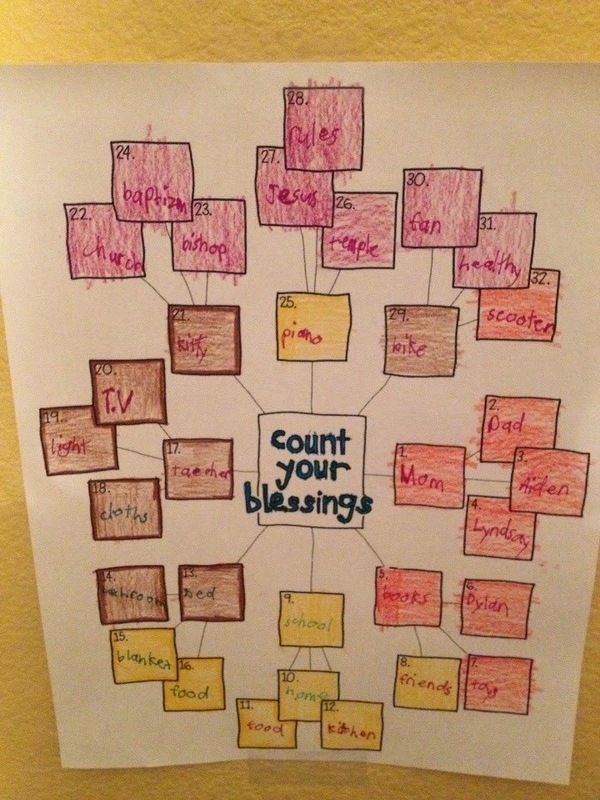 Fourteen different little visuals to organize and count your blessings. I picked one and printed it off for us. It was amazing how easy the boxes were to fill up. And as the boxes filled up, so did my hope, and my faith. I told the boys tonight that no matter the trials we are experiencing, no matter how hard life seems to be, we always have more blessings and things to be grateful for. I guess I needed the reminder as well. How sweet is this post! 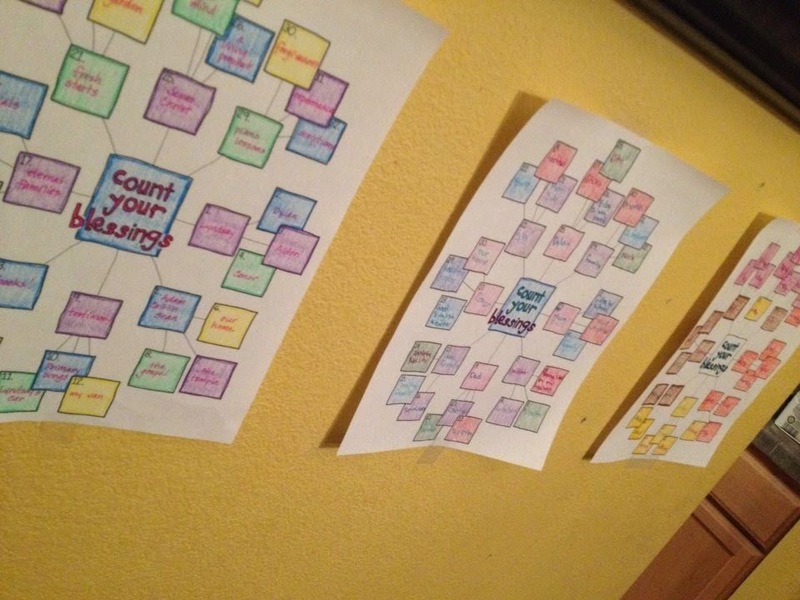 I had not even considered using the charts with my children (they get so tired of me and my doodles). Thank you so much for such a heart felt post. I love the charts, what a treasure created for years to come. Thank you!